For people who suffer from weight management issues: the constant need to diet, the poor self-image, and the health problems associated with obesity, make the need to manage their weight both important and challenging. As all of us know, if you walk into a bookshop there are thousands of books offering advice on good diet. Ayurveda approaches the problem from a holistic perspective: obesity is not just a function of diet but also related to lifestyle choices and habits. Therefore, managing your weight and achieving the appropriate weight your age and height requires lots of different changes in your life. Ayurveda also recognises diet as being a significant foundation in overall health and wellness; proper diet is called Ahara in ayurveda. The foundation concept in ayurveda is the tridosha theory which identifies any individual as containing either one or a combination of the three doshas. Any diet proposed needs to take into account your type and how your type responds to different types of inputs. This weight reduction programme can never be specified before the arrival as so much will depend on the diagnosis by the doctor. The programme we have described below should be understood as typical but not necessarily prescriptive. Your program is almost certainly going to vary from the one we have described and that will depend on that first meeting between yourself and the Doctor. If you have not encountered Ayurveda before, then you will probably understand it in the same conceptual framework as Western medicine whereby you are seen as not well and the doctor's job is to cure you by introducing external factors such as pharmaceuticals or surgery. The Ayurveda paradigm is very different and emphasises the pathway as one of self healing rather than being healed. To self heal, you are obliged to understand about yourself, your imbalances and the need to address them redress them through a balanced diet rather than a dramatic diet. The system does not propose juice diets or vegetable diets or protein diets: the Ayurveda Dr sees his patient as a complete system and explores how that system is unbalanced. If you haven't dieted before then you will know how difficult it is and also how emotional process can be. As your body moves from one state to another your mind and your emotions often struggle with the changes. For many people suffering from obesity, food can play an important role in their lives and rethinking that role and that central importance can be traumatic. The purpose of this program is to help you rebalance to start a process whose outcome is that you are the correct weight. That takes time. You won't get there in 14 days as you well know but during the course of these 14 days you can build the foundation that will lead to the desired outcome. That is what this is all about. Day 2 , 3 , 4 : Abhyangam, Snehapanam, Udwarthanam & Steam bath. Day 5, 6, 7 : Abhyangam, Snehapanam , Dhanyamla Dhara & Steam bath. Day 12, 13, 14: Abhyangam, Podi kizhi & body pack. Each day you will receive about two hours of treatment, the details of which you can see in the table above. You will also be able to undertake yoga twice a day and your meals will be designed specifically for you as part of the programme. There are opportunities for exercise which can be structured for you at the health centre or can simply be activity that you enjoy undertaking. There is ample time for you to simply relax and think in the wonderful and tranquil environment beside the lake: simply watch the world go by. Your day starts early with yoga before breakfast. Our yoga is not intended to overstretch you but is designed as a relaxing complement to the rest of your weight reduction programme. Anyway, it is a wonderful way to start the day. If you are new to Ayurveda, or have never undertaken a specific treatment programme, it is a good idea to prepare yourself for the experience as it is often more emotional (and exciting) than the typical spa break. 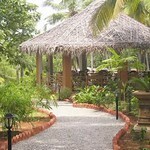 The purpose of Ayurveda is to establish the correct balance for you. 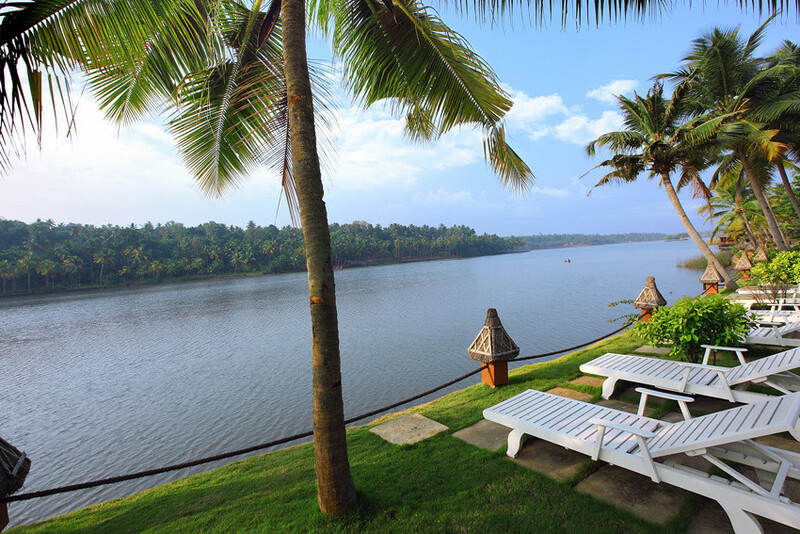 This feels easy enough to achieve as you are sitting beside a beautiful Kerala lake watching the sun set, but more difficult when you return to a world hustling with phone messages and quickly snatched meals. During your stay with us, you will also want to take time to consider how you want to live your life afterwards and how you will make the necessary changes to your lifestyle. Bring books and notebooks so you can capture your thoughts. The most popular question that we are asked by prospective visitors is how much weight will I lose. It seems the most obvious and relevant question, but it is also the wrong question! This is the traditional question that arises around a diet and it presupposes that the solution to obesity is just to lose weight through some technical method rather than asked the question why do I have this problem. Medicated Ghee is given according to the digestive power of the patient.